Definitely not a cookie-cutter guitar, the Orion is sleek and elegant. 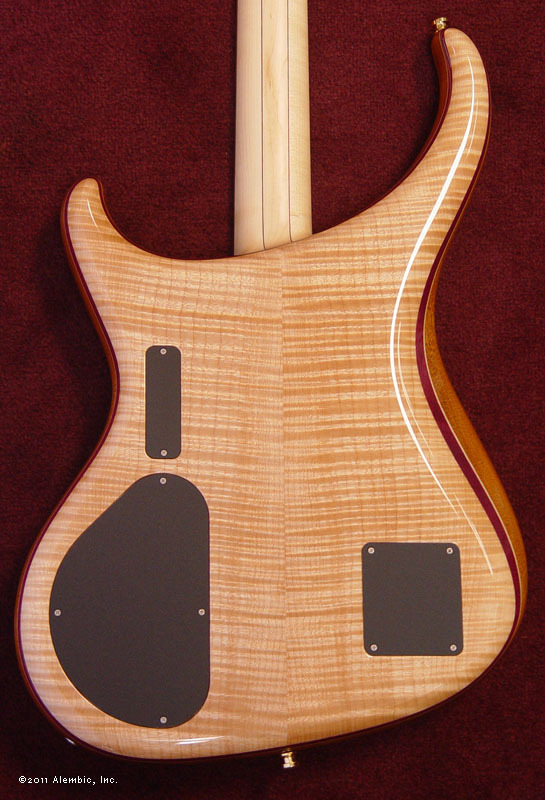 With a contoured body, it's also a dream to play, as it snugs up against you. 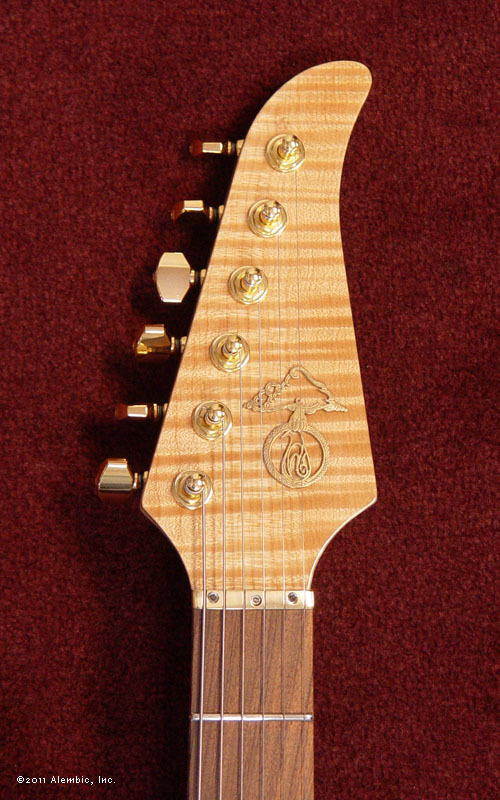 Rocker Guitars ordered this Orion with a few little "extras" in place, so you can enjoy a custom guitar without the custom wait. 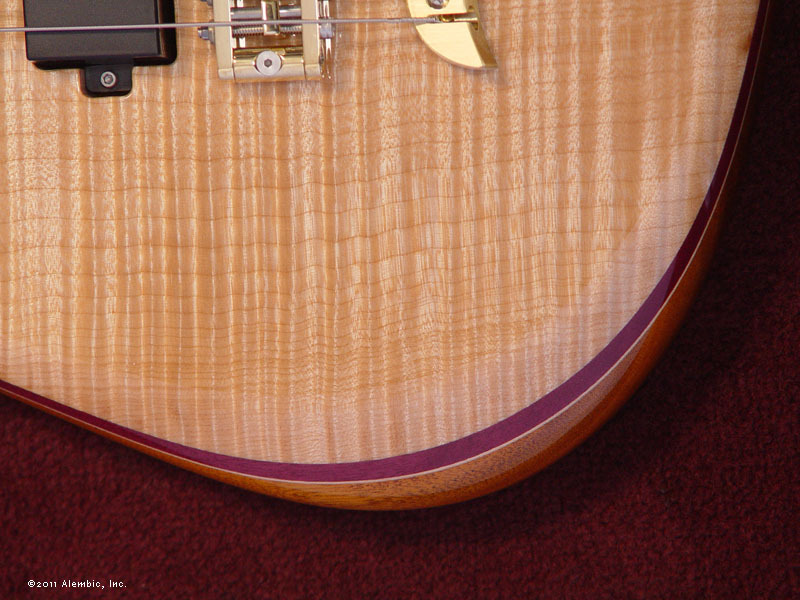 For starters, it's got a Flame Maple back. The look is great and the laminates on the top and back are cut from the same board. Instead of the mini toggle we usually have on Orion guitars for the pickup selector switch, John asked us to use a blade switch, and it's mounted on a custom brass plate we made in our shop. 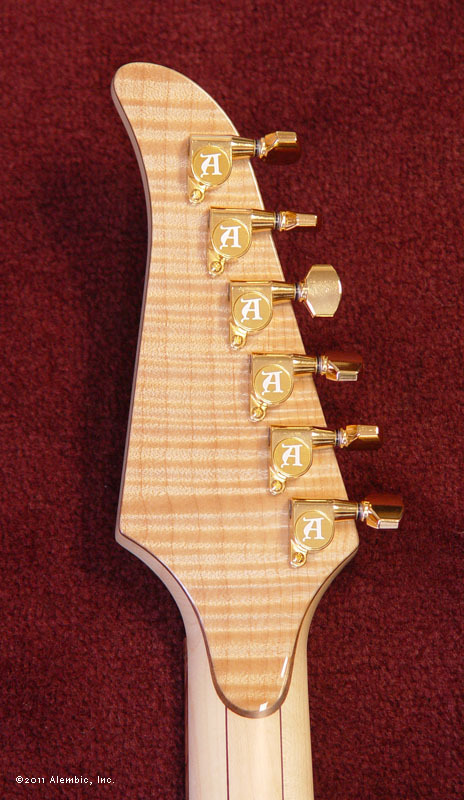 There's also 3 pickups instead of the standard 2 for more tonal variety. The fingerboard is Pau Ferro, a little different from the standard Ebony. 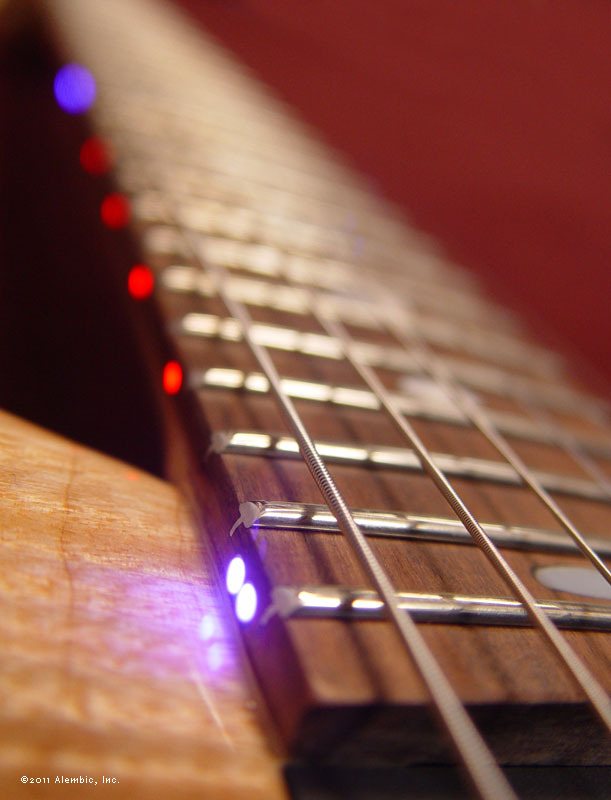 This is also the only guitar we've made with the combination of red and violet side LEDs. The tone is clean and clear as you would expect from Alembic. 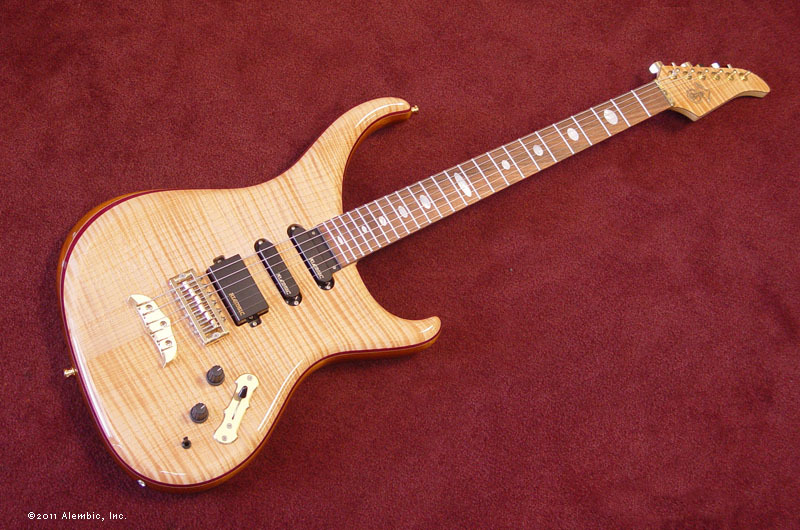 These brilliant highs are reinforced by the Maple top and back, but can always be reeled in with a simple twist of the filter frequency control to warm things up.